Update: Since the original story ran yesterday, the Camp Fire has spread to more than 20,000 acres as of this morning and the New York Times confirmed there are at least five fatalities of individuals that were trapped in cars as they tried to flee. At press time, the Camp Fire had spread to 8,000 acres, according to the California Department of Forestry and Fire Protection, which classified it as “dynamic and moving very quickly.” The department’s website does not say it has been contained at all. Neumann explained that the area is heavily treed with ponderosa pine trees and a lot of them are standing dead. Coupled with high winds blowing hot ash around, the fires are spreading rapidly she explained. Neumann, who spoke to Inman from nearby Chico, said when her husband went to get his parents to help them evacuate, the sky was pitch black and you could hear the sound of transformers exploding. The evacuation process from Paradise, California has been arduous as well, she explained. Evacuation orders are in effect for Paradise, Magalia, Concow, Butte Creek Canyon and Butte Valley. The Butte County Sheriff’s office’s Twitter feed is constantly updating with evacuation areas and advice. She added that now that the fire has reached the town, she and others are speculating that Paradise is going to lose a lot of structures. 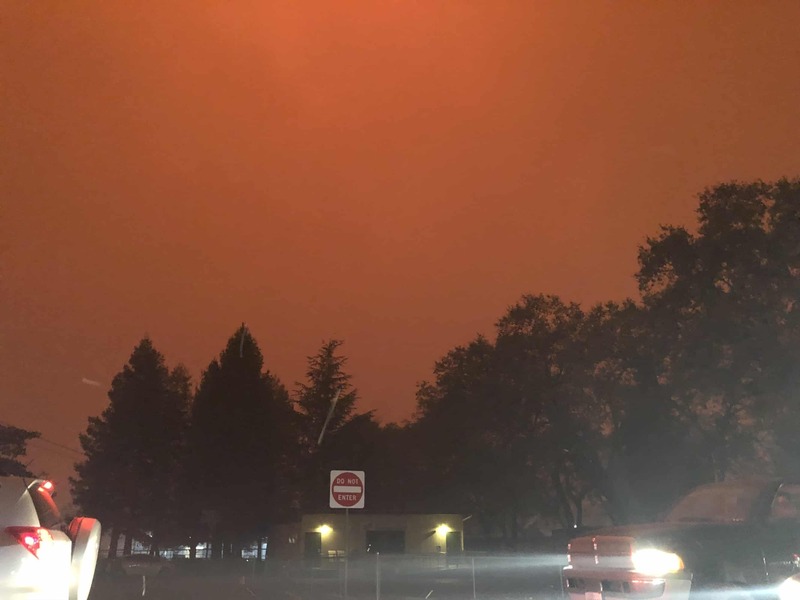 Ryan Patterson, an agent with North State Real Estate, spoke to Inman Thursday as friends evacuated from Paradise, California, and a massive plume of smoke spread across the sky. Patterson is based in nearby Oroville. He said that Paradise is filled mostly with single family homes on small lots, adding that the city is “built into the forest.” Fires make real estate difficult in the region because they not only affect demand, but also result in insurance moratoriums, preventing new would-be property owners from getting insurance until the fire is contained plus time. “It makes it hard to close properties,” he explained. Making matters even worse, the fires in the region only appear to be getting more ferocious. The hotels in Chico are already booked and it’s an area starved for housing in the first place. Neumann said the area is a poor community on a per-capita basis, so when the fire is contained, they will be looking for donations of food, water, blankets and school supplies. “Anything to get people feeling a sense of normalcy,” she said. Additional reporting by Jim Dalrymple II.